Founded in 1980, Walton Signage is a $50+ million company focused on providing turnkey signage solutions and exceptional service to the restaurant, retail, banking, finance, hospitality, healthcare, grocery, entertainment, automotive, service and petroleum sectors. The predecessor company to Walton Signage was founded in 1934 by Gary Walton’s grandfather in Corpus Christi, Texas. Three generations and 75+ years later, Walton Signage is now one of the nation’s leading signage companies with a strong portfolio of large, national accounts. For over 37 years Walton has been an industry leader in helping companies build their brands through custom signs and design elements. Walton boasts over 37 years of experience implementing brands across a host of industries. We’ve spent just as much time building a $50+ million company that provides turnkey signage and branding solutions to some of the biggest names in the world. Recently we were recognized by Inc 5000 as one of the fastest-growing private companies in the USA for the 5th year in a row! Gary Walton saw the possibilities throughout the years. 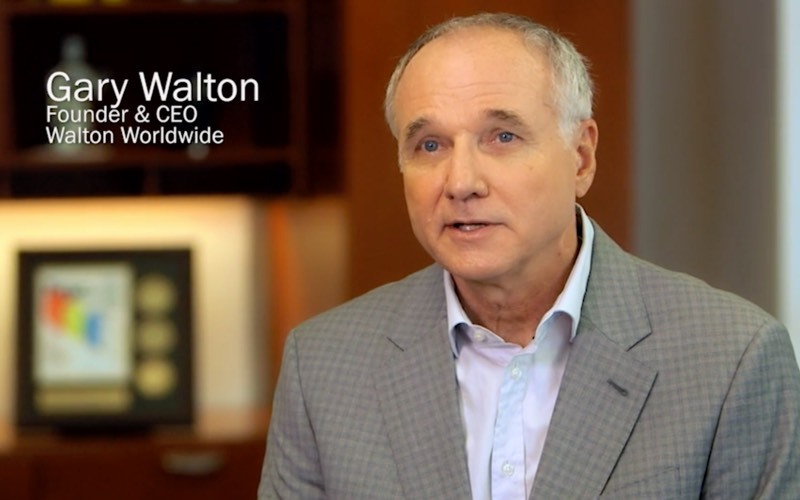 With a history of saying YES, coupled with an emphasis on extraordinary customer experiences, Walton went from a single-person shop to a company now providing branding implementation internationally. Your brand is the face of your business. It’s the first thing people see and their very last impression. Don’t leave your brand up to chance. Let Walton help you showcase your space. No matter what your industry, our team has the combined expertise to flawlessly execute your brand. We don’t just treat our work like an assembly line. We create cutting-edge innovations that help keep you at the top of your game. From documentation, pre-project planning and contingency plans; to implementing your brand, creating 3D models and prototypes; we work with you to select the perfect approach. Finally, we pull all the permits, manage all the partners and we won’t sign off until you’re satisfied. Our processes are built on experience, tried and true, and lead to lower costs, better solutions and better results.